Most people in the world have had to get used to tightening their belts somewhat in recent times. A global recession has had an undeniable effect on the property market in many countries, and Britain and France have certainly been affected. In both countries, after the boom years of up to 2007, property prices have dropped (although some areas and certain types of property have been worse affected than others), and sales have become more difficult to achieve (Selling houses in France, Property sales in France), at least within the fast timescale to which we had all become accustomed. French property market - what happened? Property in France rose in price over the last ten or fifteen years as France became known as a popular destination not just for gite and holiday home owners (Owning Gites and Chambres d'Hotes (B&Bs) in France, Gites for sale), but also for ex-pats seeking a better life in a warmer climate and wishing to establish a calmer lifestyle and better standards of living. However, due to an even steeper rise in British property prices up until 2007, in spite of good rises in value itself, French property remained cheaper than British property by a considerable margin, except in the most popular and affluent areas such as Paris (Paris Arrondissements Property Guide) and parts of Provence (Provence-Alpes-Côte d'Azur Property Guide). This meant that British people were able to take advantage of the boom years of British property, selling at high prices and walking away with generous amounts of profit, allowing them to invest in a home of similar or higher standard in France for a far lower price. However, the global recession has had its inevitable effect on the house prices in both countries (with the effect taking a little longer to become apparent in France), and this, coupled with the fall of the value of the Pound against the Euro has forced many potential ex-pats or holiday home seekers to rethink the wisdom of buying property in France. Not only have prices dropped in many areas of France, but the market has been sluggish at best with a large number of properties stubbornly refusing to sell, or taking many months to do so. Figures just published from FNAIM (the National Association of French Estate Agents) show that the French property market is at last stabilising in the back part of 2010. Areas such as the Dordogne (Dordogne Property Guide) and Provence, always popular with British buyers and long established as expensive in property terms, are showing signs of recovery with slight gains in price and increasing sales. Paris and the Ile de France (Île-de-France Property Guide) are showing strong signs of recovery. The figures for mid 2009 to mid 2010, although showing an overall decrease in price of 0.7%, display a marked improvement when compared with the fall of 4.9% over the same period from 2008 to 2009. The good news is that the mid to latter part of 2010 has seen a discernible increase in interest across the board in French property, especially among British and other European buyers. Property is moving once more after a long time in the doldrums, as evidenced by the comments of property agents such as AB Real Estate, who operate in the Languedoc (Languedoc-Roussillon Property Guide) region of southern France. They are once more receiving enquiries for quality property and experiencing better sales figures. The same appears true of Brittany (Brittany Property Guide), where agents report similar improvements in activity and sales. The levelling out of the market and a rallying of the value of the Pound have combined with more sensible pricing by sellers to ensure a strong return of overseas interest in property in Brittany during the later months of 2010. 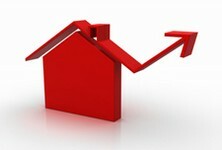 Prices are now beginning to rise slightly in the region due to the strengthening of the market. "The prestige property market is indeed experiencing a surge of increased interest by French and certainly by international buyers since April 2010. Prices are still under pressure in the Languedoc-Roussillon, the region (in which) our agency AB Real Estate (www.ab-real-estate.com) is active, although price pressure varies to some extent from department to department. And it looks like our agency will have a good year!" The following comments by Annelise Bosshard, managing director of AB Real Estate, give an even clearer picture of the situation in the Languedoc. "Property prices in our segment of the real estate market have fallen on average by only 10 to 15% in Languedoc-Roussillon, France. Compared to other countries where prices have fallen by as much as 40%, it shows the strengths of our area. For the past three months we are finding that there are more foreign buyers visiting and actually buying than there were in the Spring or last year. I believe that France, and this area in particular, offer a more stable investment proposition than many other countries, in addition to the obvious attractions of climate, beauty, accessibility and lifestyle. Serious buyers experiencing a 'coup de foudre' for a property, if they feel that it is good value for money, are now making reasonable offers and we can conclude somewhere in between offer and asking price. Of course bargain hunters are still out there, but their luck only comes true if the owner is in a real hurry to sell for what ever reason (moving for work, bridge loan, divorce etc) and therefore it is not happening often and they go home mostly with empty hands. The UK seller, taking advantage of the low market at home and the advantage of the exchange rate (Currency exchange options which save you money), has sold already and this opportunity for buyers is past history. However, there are still plenty of reasons to buy in France, and in terms of the general feeling in the French property market it seems that the prices have stabilised and that we have past the bottom of the wave." Who is braving the French property market? So, it appears from the experiences of AB Real Estate that the prestige market at least is certainly experiencing a re-awakening. In more general terms, outside the prestige market, it is interesting to note that houses and villas are outperforming apartments, perhaps suggesting that it is the wealthier buyers who are the first to brave the market after its recent problems. Everyone, including FNAIM, seems reluctant to make firm predictions for the near future of the French property market, but the general feeling is that it will continue to stabilise, with some areas wobbling between small gains and small losses, but most remaining level. For British buyers, it remains to be seen how the new government's tough financial policies may affect house prices in the UK, which has an obvious knock on effect for those considering selling up and moving to France. However, that notwithstanding, the lack of the massive fluctuations seen in the boom and bust character of the British market means that French property offers rather greater security and peace of mind. Fiona Bridgeman, who worked as an immobilier agent in southern France for several years, is well qualified to comment on the current situation not only through her professional experience, but also on a personal level, as she has recently sold her own property in France (although she is very definitely remaining in the country!). Fiona says: "Speaking to my old colleagues I do know that things are starting to move again. We sold our house in the Ariège (Ariège Property Guide) last year. It was only on the market for two months and we sold at the asking price. I do have to comment that it was priced to sell, was a village house with garden and was fully renovated to a high standard. If you have a good product that is marketed at the correct price then it will sell." Is French property still a good buy? The boom years have passed, there is no doubt, but French property can still be a solid investment. In many areas, prices are still lower than in the UK, and even in the traditionally popular and relatively expensive areas (the Dordogne and Provence being cases in point), in spite of recent signs of slight growth in price, sellers have become more realistic about pricing their properties in order to achieve sales. It could be a good time to purchase property in France, before prices rise further, and although the future of the market is still a little uncertain, France does not experience the polar ups and downs for which the British market is notorious. France is also still a very popular holiday destination, and those with gites are still finding plenty of holiday bookings coming in, allowing them to recoup some of the costs of buying and owning French property. Hello - are property prices in France fixed as advertised, or are they open to offers/negotiations? Are there any extra fees for buying from the UK? . Thanks for contacting us. Property prices in France are rather like in the UK, with most being open to offers. I would think it's always worth a try, as long as the offer is not insulting to the seller. 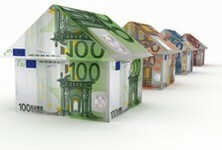 Our article "Buying a French Property - The Fees" (http://www.frenchpropertylinks.com/thefees.htm) goes through the fees you would have to pay if buying from the UK. Other costs to bear mind, though not really "fees", would be currency conversion rates, and charges made by banks either sending money to France or possibly accepting money in France.